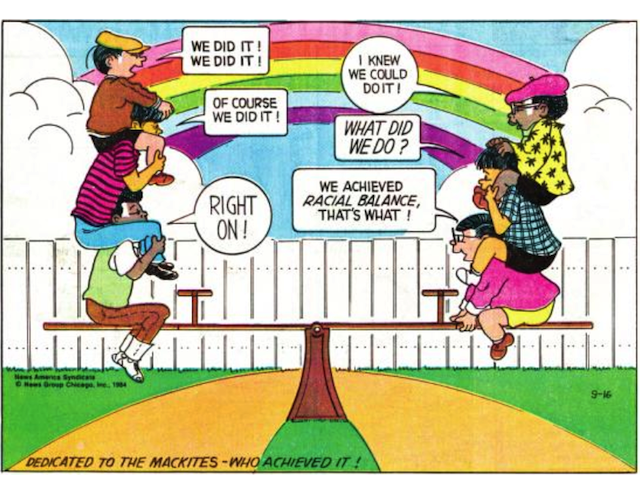 A strip from Morrie Turner's Wee Pals, a comic strip that debuted in the 1960s and depicted a multicultural group of kids living in the city. Within hours, the message had spread, generating thousands of donations and messages of public support from individuals, including celebrities like Neil Gaiman and Rachel Maddow. 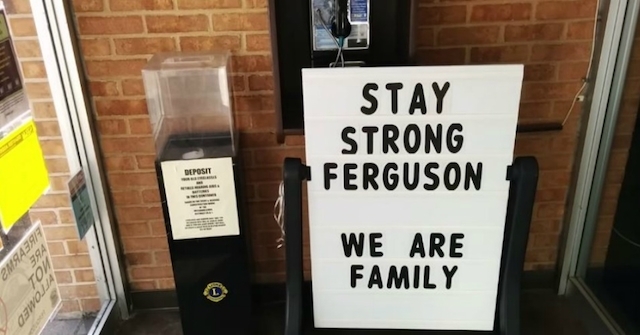 Amidst the pain and seething fury of a city cleaved through by racial injustice, the humble presence of books and their caretakers seemed to provide a small measure of comfort and a sense of budding hope. If 2014 was a year of political and civic turbulence, it also seemed one of modest strides in the world of books. After the high-profile literary festival BookCon failed to include a single writer of color in its lineup, a group of authors, publishers, and readers renewed efforts to demand greater diversity in literature. A campaign that began as a Twitter hashtag, #WeNeedDiverseBooks, quickly transformed into a sprightly, volunteer-run nonprofit dedicated to examining the perpetually prickly subject of representation for marginalized groups in literature, particularly in young adult lit. The initiative was covered in outlets ranging from the Los Angeles Times to NPR, and when We Need Diverse Books released a crowdfunding request in late October, they quickly met their initial goal of $100,000. At a time when protests against police violence have directed national attention to the enduring racism experienced by black communities, the role that art and culture play in shaping racial attitudes has also come up for discussion. According to author S.E. 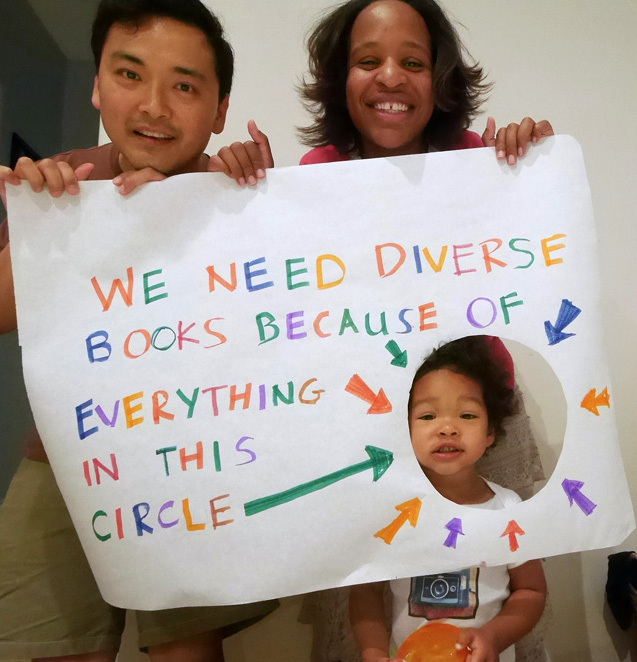 Sinkhorn, a spokesperson for We Need Diverse Books, “[S]o many people of diverse backgrounds grew up without ever seeing themselves in books, which has the effect of making them feel invisible and alone. Many internalize negative ideas about themselves, and it’s crucial to make sure children see reflections of themselves in their books from early on.” To combat this dearth of diverse perspectives in children’s literature, the organization plans to send authors of color to schools to speak to students, fund internships in the publishing industry for disadvantaged individuals, increase the number of books by “non-majority authors” in school libraries, and monetarily support new authors through grants and awards. 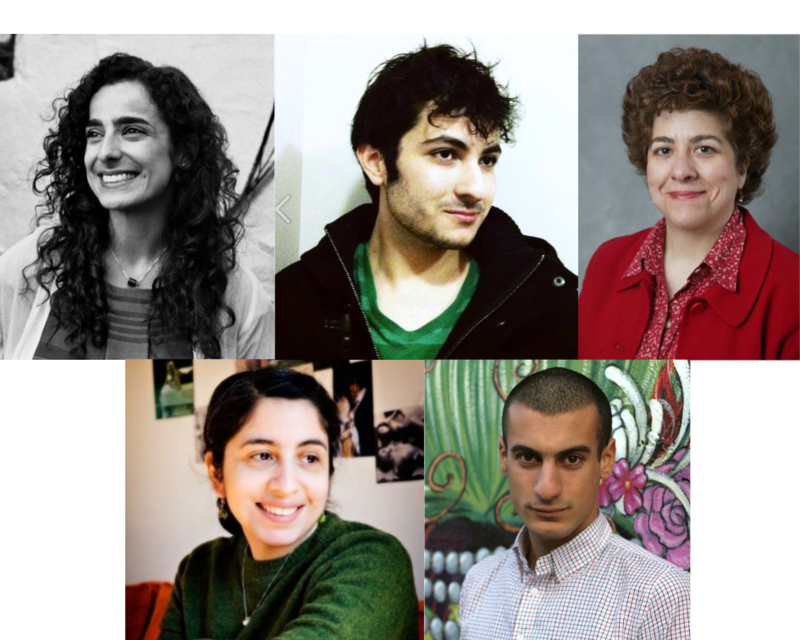 Most recently, the group announced a short story contest for emerging writers from “diverse experiences, including (but not limited to) LGBTQIA, people of color, gender diversity, people with disabilities, and ethnic, cultural, and religious minorities.” The contest promised to the winner $1,000 and the inclusion of the winning submission in a WNDB anthology to be published by Crown Books. The group’s focus on the representation of people of color in literature situates We Need Diverse Books in a long and ongoing push for multicultural curricula in primary schools. 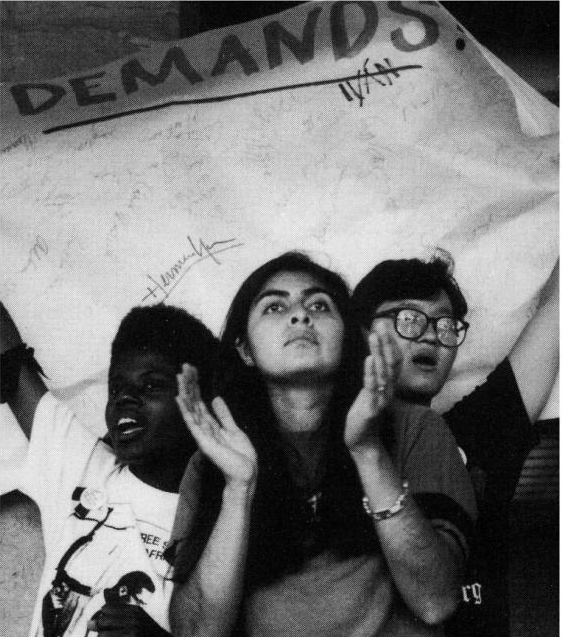 A movement that grew out of the post-Civil Rights battles for ethnic studies at universities, multicultural education germinated in the 1980s and included the introduction of topics such as Jewish and black history into public schools. In the decades that followed, a number of psychologists and educators attempted to analyze whether multicultural education could close the persistent achievement gap between white and black students. Several ran studies that showed that exposure to multicultural literature indeed had positive effects on the self-esteem and academic performance of children of color. In one of these influential trials, researchers Mary Oldham Grice and Courtney Vaughn found that a group of black third graders who had been labeled “slow learners” responded positively to books about black families and were able to recall accurately storylines and offer commentary on the texts, suggesting that their academic impediments could be remedied by the increased use of multicultural materials. 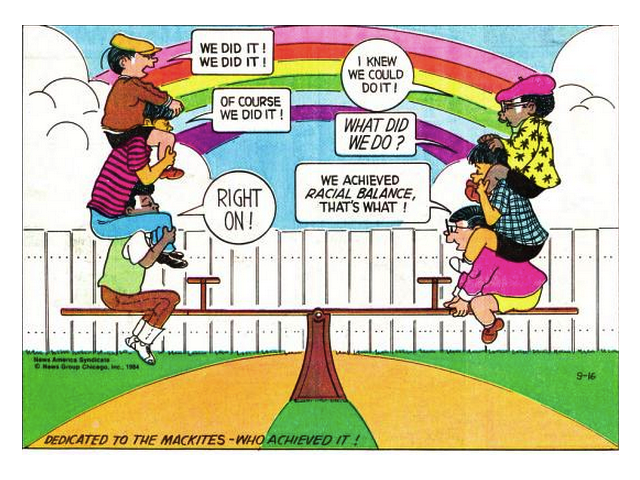 The expansive research on the benefits of multiculturalism eventually encouraged several state legislatures to mandate multicultural education in public schools. Florida, for example, began requiring public schools to teach the history of the Holocaust in the early 90s. Gradually that requirement was expanded to include African American, Hispanic, and women’s history. Now, more than twenty years later, the partially-realized project of multicultural education is what new measures like We Need Diverse Books have inherited and must contend with. Looking back, the corporate and educational diversity efforts of the 90s, which form the backbone of many progressive programs today, can feel vaguely alien, like happening upon an old yearbook photo in which one sports a dated haircut. The feel-good version of multiculturalism that reigned during the 90s produced a litany of pop culture artifacts like “ethnic” dolls cast in darker plastics from the same molds as their white counterparts, fictional multiracial Earth-saving gangs on TV (Power Rangers, Captain Planet’s Planeteers), and a set of Crayola markers that came in “skin” tones ranging from neon peach to a vivid chocolate-cherry. 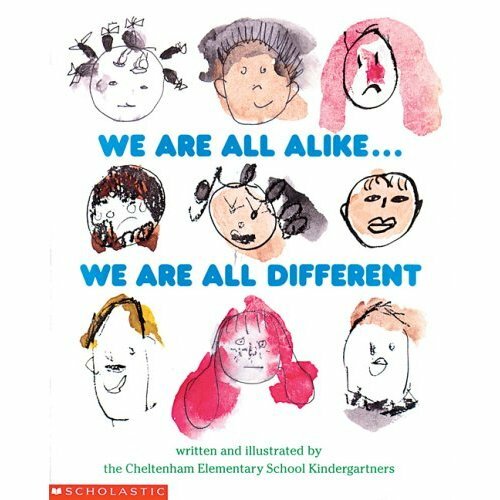 As an elementary schooler during the 1990s, I recalled teachers pressing into our hands a particularly lackluster book called We Are All Alike, We Are All Different, which stated the obvious—that different types of people existed in the world—but never got around to explaining why that mattered. 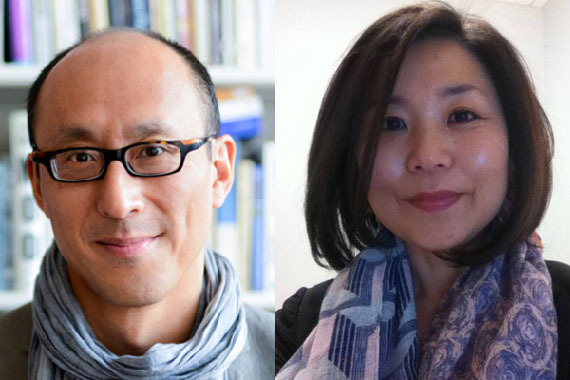 In his new book, Who We Be, cultural critic Jeff Chang describes this explosion of “diversity” merchandise as the era of “multiculturalism-as-consumer lifestyle.” The push for multiculturalism in the arts began in the late 1970s as a challenge to the exclusion of artists of color from artistic canons and institutions. Artists inspired by the militancy of freedom fighters like Malcolm X and Ho Chi Minh brought the struggle for self-determination to the cultural realm, building an anti-assimilationist movement that foregrounded racial identity and criticized the overwhelmingly white and male gatekeepers of the art world. First published in 1991, We Are All Alike… We Are All Different stated the obvious—that different types of people existed in the world—but never got around to explaining why that mattered. 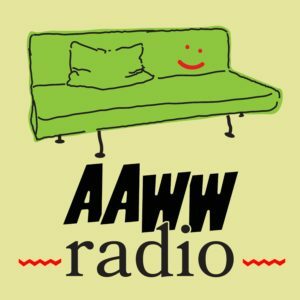 By the 90s, entrepreneurs had realized that this fight for racial representation in the arts could be craftily co-opted as an opportunity to tap blooming “ethnic markets.” The resulting proliferation of race-targeted consumer goods, multiracial casts on TV and in movies, and programs adding multicultural materials to public school curricula produced the illusion of a society trending toward egalitarianism even as the Clinton administration was implementing savage welfare cuts that yanked the safety net from under millions of low-income black and Latino families. A submission for the #WeNeedDiverseBooks Tumblr campaign, which lets readers share how not having enough diversity in the book they read affects their lives. This sentiment was echoed in late November by WNDB board member and Brown Girl Dreaming author Jacqueline Woodson, who wrote eloquently in the New York Times, “This mission is what’s been passed down to me—to write stories that have been historically absent in this country’s body of literature, to create mirrors for the people who so rarely see themselves inside contemporary fiction, and windows for those who think we are no more than the stereotypes they’re so afraid of.” The unfortunate occasion for her remarks was the National Book Awards ceremony two weeks prior, where Lemony Snicket author Daniel Handler had cracked a crude racial joke in reference to Woodson while presenting her with an award. While in one sense the propensity in mainstream discourse to describe racial conflict with words like “tolerance” and “hate”—rather than “power” or “oppression”—has made it possible for greater numbers of people to conceive of how racism affects individuals on a psychological level, a more unsettling consequence of this turn has been that diversity has largely replaced equality as the ultimate goal for many educational and workplace settings, including the book publishing world. The WNDB campaign has shone a spotlight on the deficit of non-majority perspectives both on the pages and behind the scenes in the book world. Yet the publishing industry remains a bleakly apt example of how increased representation does not necessarily confer material benefits. The same PW report that found the publishing industry to be mostly white also found that while women constituted a clear majority of the industry—74 percent of its workforce, to be precise—they continued to suffer a significant gender pay gap, earning only 70 percent of what their male colleagues did. And so it seems unlikely that increased racial diversity alone will be sufficient to ensure fair pay, equal treatment, or the dwindling of the economic barriers (such as unpaid internships and low entry-level salaries) that have long made careers in publishing available primarily to the educated and affluent. As we move toward 2042—that fabled year in which the US will purportedly achieve the oxymoronic state of being “majority minority”—the division between diversity and racial equity will only grow sharper still. In its most egregious current iteration, “diversity” has been flattened into an entirely apolitical term that has permitted, for example, former New York City police commissioner Ray Kelly to boast about the “diversity” of the NYPD, whose ranks are nearly 50 percent people of color, but which has continued to routinely profile and murder blacks with little evidence of having been tempered at all by its multiracial makeup. The persistence of police violence, gentrification, and other forms of racialized repression in New York (technically already a “majority minority” city) further shows how achieving diversity so often falls bitterly short of reordering existing structures of power, or even generating the empathy that many believe will in turn engender equality. 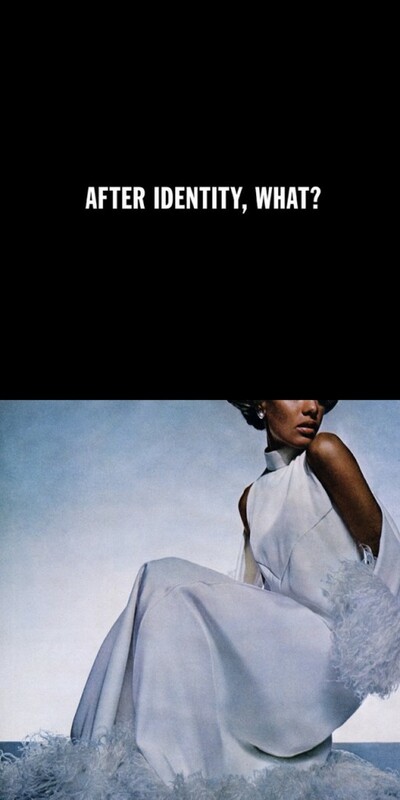 After Identity, What? by Hank Willis Thomas. 2012. Aluminum letters on wood and inkjet print. Courtesy of the artist and Jack Shainman Gallery, NYC. Just recently, in an incisive overview of The New Republic’s publishing history, Ta-Nehisi Coates speculated that the magazine, which had excerpted the neo-eugenicist text The Bell Curve in the 90s, “might have been helped by having more—or merely any—black people on its staff.” He went on to praise Buzzfeed as an example of a media outlet whose commitment to diverse hiring practices had yielded the thoughtful, progressive journalism that had often eluded The New Republic. However, I wondered: Was The New Republic racist because its editorial staff was homogenous, or was its editorial staff homogenous because The New Republic was racist? As Coates himself pointed out, a current of white racial hostility had undergirded much of the magazine’s output under the watch of longtime owner and editor Marty Peretz. It’s possible a progressive black staffer could have very well posed a challenge to Peretz’s odious influence, but it somehow feels more plausible to imagine Peretz—who once attributed black poverty to “cultural deficiencies”—hiring the magazine equivalent of CNN’s Don Lemon, should he have ever felt compelled to diversify his staff. Though the notion that demographic plurality inherently buffs away racist ideologies is seductive, it explains little of how racial exploitation and disenfranchisement have produced our current literary and intellectual culture, which, among other injustices, continues to prioritize white artists and writers and their output. “For years,” writes Jeff Chang, “good-willed people had believed in a conceit—perhaps it was multiculturalism’s core conceit—that if more people of color, women, and gays were represented, that if they could tell their stories and the stories were heard, then empathy would follow and equity, too.” But, as the evolution of the multicultural movement has uncomfortably shown, demographics in a given context can change significantly while hierarchies stay the same. Jennifer Pan is a contributor to the Margins, Jacobin, Dissent, and other publications. Find her on Twitter @panjnf.